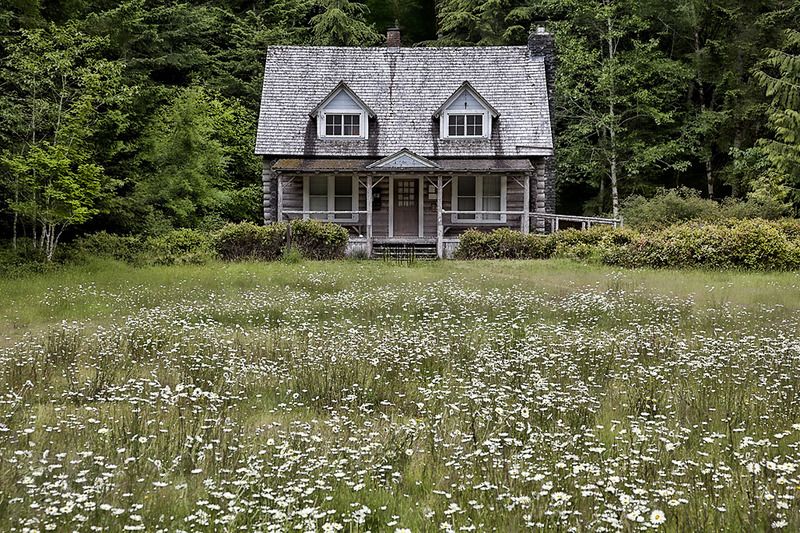 July 24, 2012 – Decrepitude and Other Beautiful Images……. Day 2 of our trip to The Olympic Peninsula was spent visiting Olympic National Park. 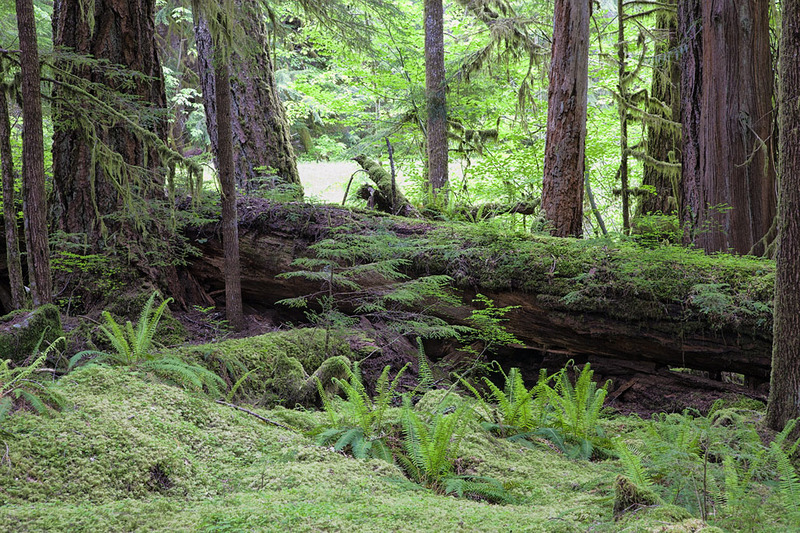 Olympic National Park can be divided into four basic regions: the Pacific coastline, alpine areas, the west side temperate rainforest and the forests of the drier east side. U.S. President Theodore Roosevelt originally created Mount Olympus National Monument in 1909 and after Congress voted to authorize a re-designation to National Park status, President Franklin Roosevelt signed the legislation June 29, 1938. In 1976, Olympic National Park became an International Biosphere Reserve, and in 1981 it was designated a World Heritage Site. 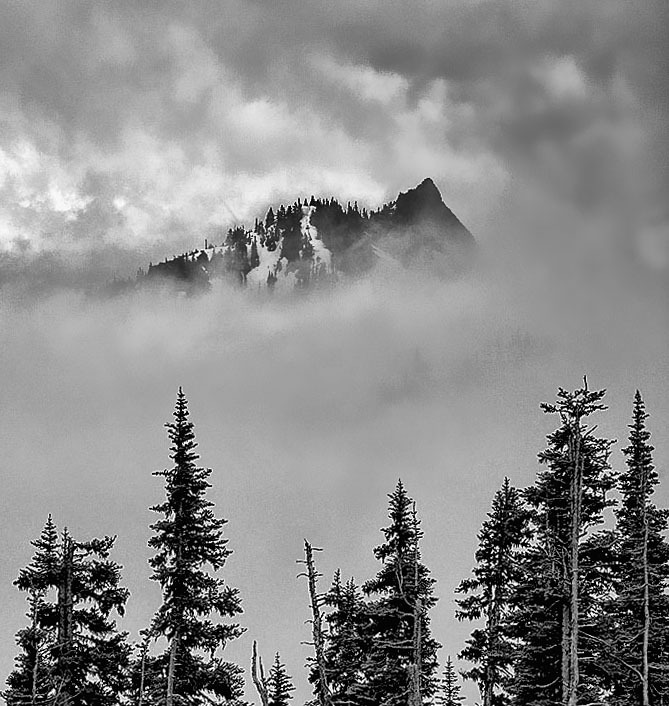 In 1988, Congress designated 95 percent of the park as the Olympic Wilderness. 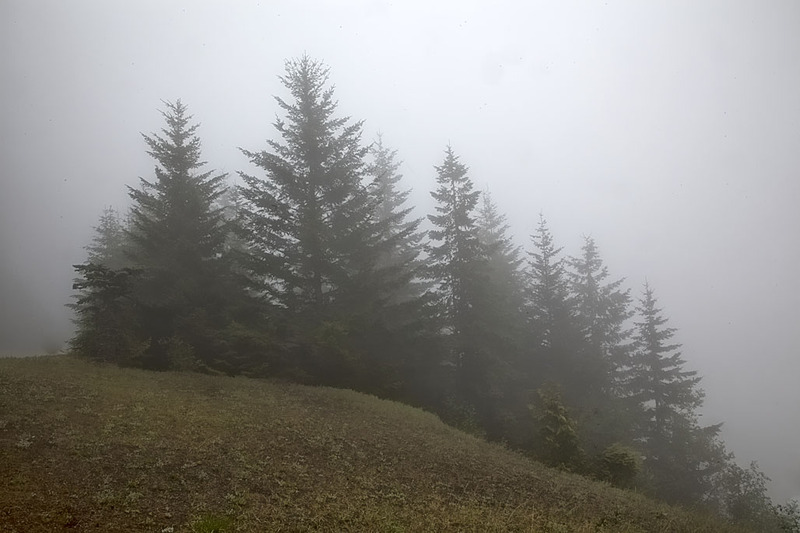 The most popular viewpoint in the park is known as Hurricane Ridge. 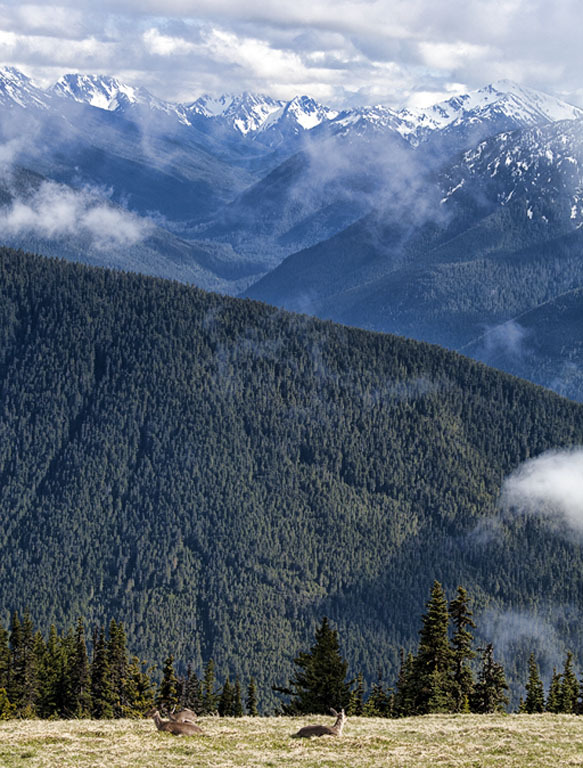 Spectacular views of the Olympic National Park can be seen from the Hurricane Ridge viewpoint. But in order to get there we had to drive several miles through some of the densest fog I’ve ever driven through. Several cars in front of us turned back but we persevered and were glad we did. About two-thirds of the way up we broke out of the fog and into some of the most spectacular scenery I’ve ever seen. On our return to Port Angeles, the road had cleared of fog and we were able to see areas we had missed. The ‘old-growth’ forests were plentiful. There is an abundance of rivers and waterfalls in the park. 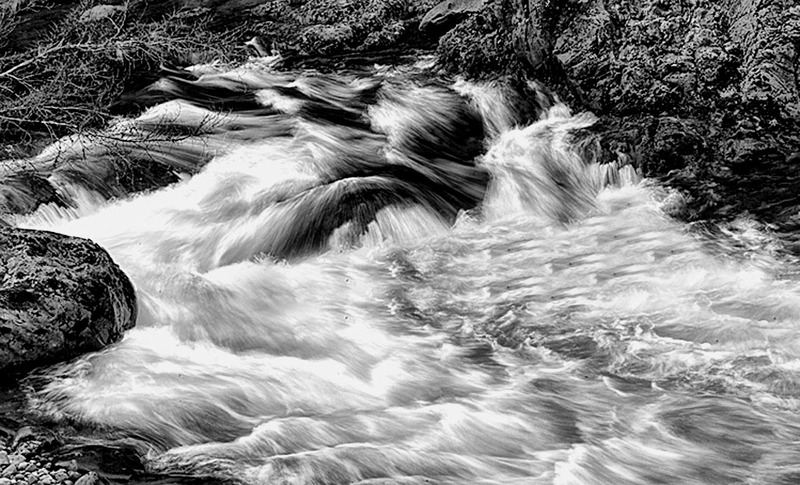 Many of the rapids were in ‘full stream’ as they continue to run off the melting snow. In our travels in the Pacific Northwest and our visits to our National Parks we’ve discovered what a valuable service the Park Rangers provide. They are always helpful, friendly and encouraging. Kudos to them.